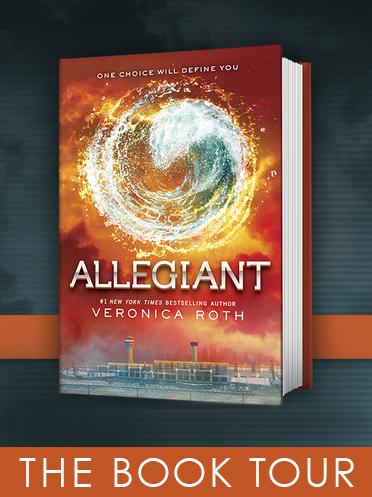 If you missed Jimmy Kimmel last week, we have a Divergent treat! Four stars from the movie appeared on the show on consecutive nights as we counted down the days till the movie release - Jai Courtney (Eric), Ashley Judd (Natalie Prior), Zoe Kravitz (Christina), and Tony Goldwyn (Andrew Prior). Catch up with the interviews below! This story appears in the March 21 issue of The Hollywood Reporter magazine. From The Hollywood Reporter: Before he landed the male lead in October's Carrie, Ansel Elgort was just another theater rat hoping for a break. 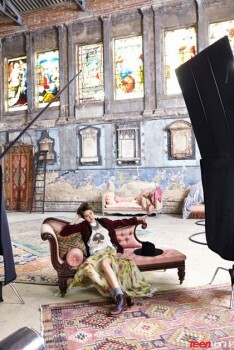 Now the son of fashion photographer Arthur Elgort has leading roles in two major YA films. 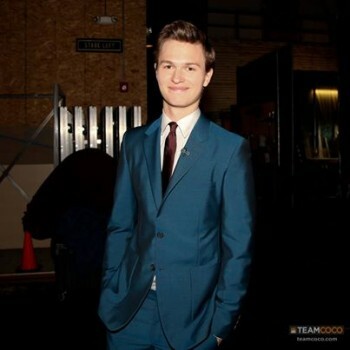 He plays Shailene Woodley's brother in Divergent, out March 28, and her love interest in June's much-hyped adaptation, The Fault in Our Stars. 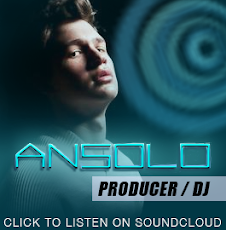 Raised in New York as a ballet dancer and theater performer, the part-time music producer will round out his year with Jason Reitman's Men, Women & Children. Check out this video featuring Divergent soundtrack artist Ellie Goulding, Divergent Score composer Junkie XL, and Director Neil Burger. Thanks to Interscope. Shailene Woodley and Theo James attend Entertainment Weeklys Radio Special at SiriusXM Studios on March 20, 2014 in New York City. 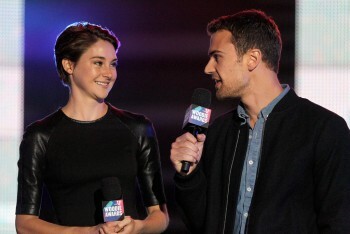 Shailene and Theo have been busy doing promo for DIVERGENT which hits theaters TOMORROW in many places. 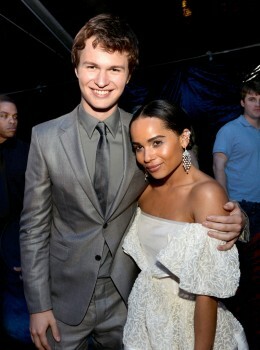 Last Tuesday they attended the world premiere along with other cast members. From IMDB: Today, we welcome guest editors Shailene Woodley and Theo James, who are featured on our homepage with lists of some of their favorite movies, characters and actors, along with videos and photos from their upcoming film Divergent, which opens in theaters March 21. We'll be asking trivia questions and giving away Divergent prizes on Twitter starting at 2pm on Thursday, so be sure to follow @IMDb before then to join in. 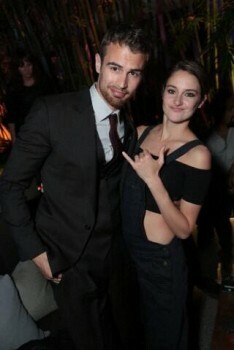 Pictures and video from the Divergent world premiere after party last night! The after party was held at The Armand Hammer Museum in Los Angeles. See photos from the premiere HERE. LIVESTREAM: The 'Divergent' World Premiere in Westwood Village, CA. 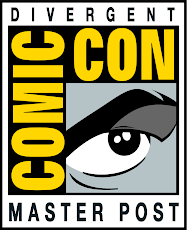 will stream right here (and on Yahoo HERE) at 6pm PT/9pm ET/ 1am GMT. Watch exclusive interviews from the Red Carpet thanks to Yahoo Movies and the Yahoo Screen App. Yahoo host Ben Lyons will conduct live interviews with cast members and filmmakers including Shailene Woodley, Theo James and Kate Winslet, author Veronica Roth, and many more. 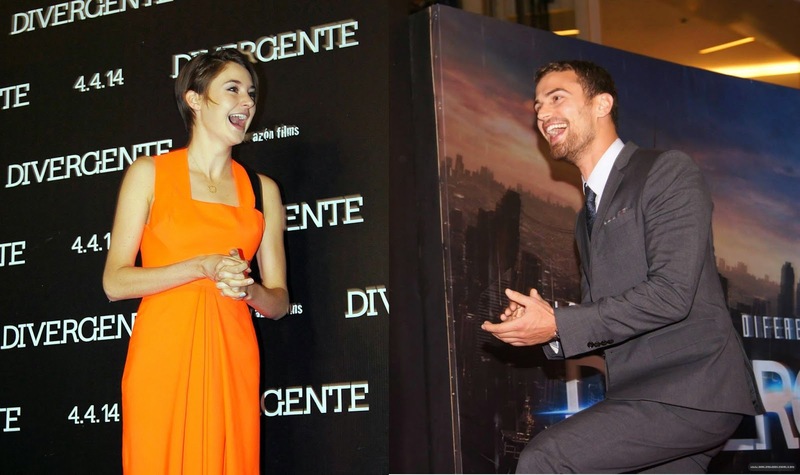 The hashtag for the event will be #DivergentPremiere. 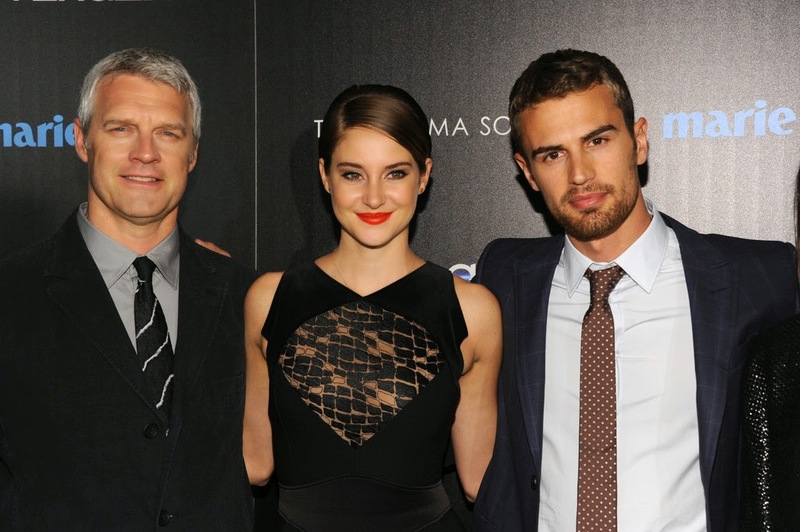 Fans can submit questions via Twitter now (with #DivergentPremiere) to have them answered by the cast. 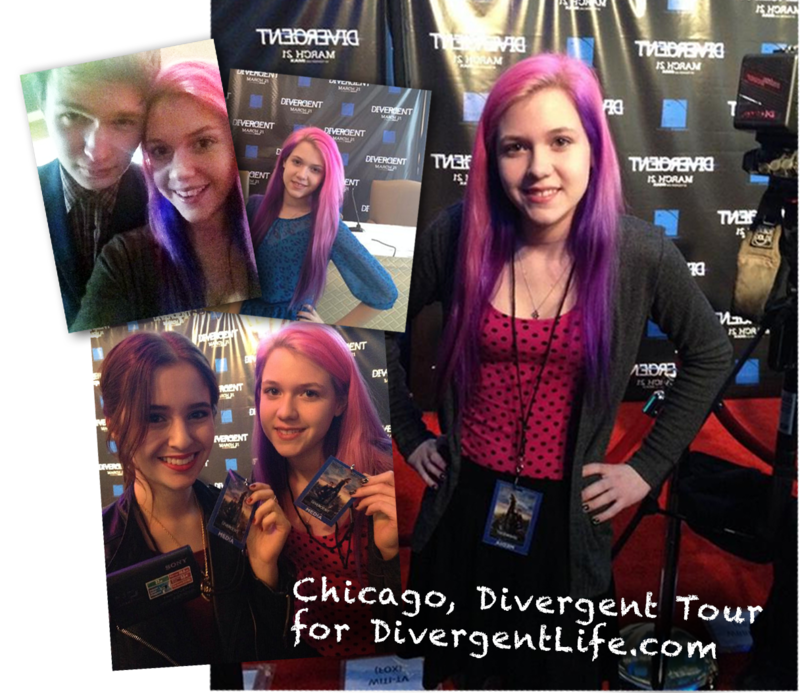 The Divergent cast attened a fundraiser screening of the movie yesterday, followed by a live stream Q&A. Below are some pictures from the event. We dont have a video for the Q&A yet, but we'll add it if we find one! All It Takes is a non-profit organization whose mission is empowering individuals to create positive and sustainable change both locally and globally. Co-founded in 2010 by acclaimed actress Shailene Woodley and her mother, Lori Woodley, All It Takes focuses on youth leadership, providing the tools and education needed to generate the momentum for meaningful change. Watch Divergent's Maggie Q (Tori) appear on the TODAY show, plus see a new clip from the movie - Beatrice gets her Aptitude Test result! Also in attendance was Divergent cast members Ansel Elgort, Mekhi Phifer, Christian Madsen, Ben Lloyd Hughes, plus author Veronica Roth. 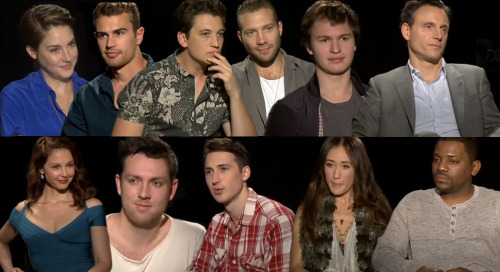 DIVERGENT Cast Plays "Wed, Bed, Dead"
ClevverNews plays WED, BED, DEAD with the Divergent. Hilarity ensues. Check it out above! 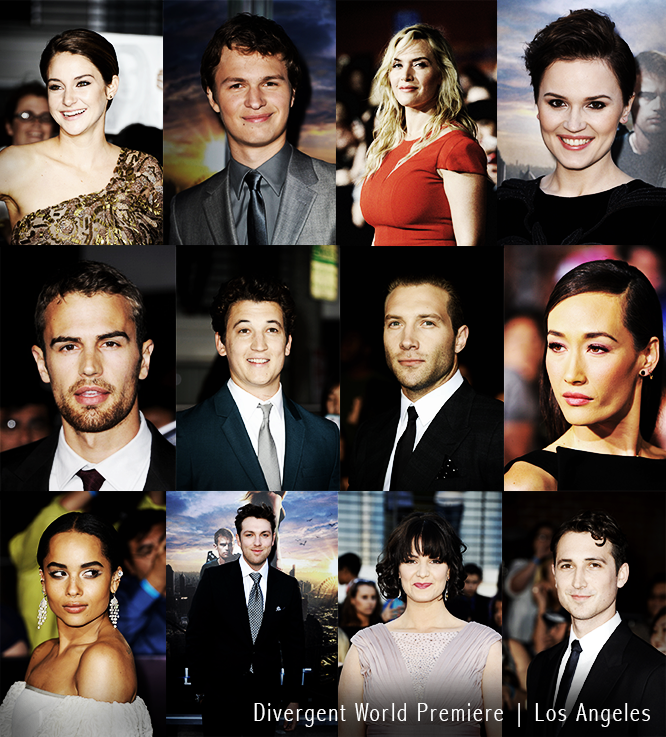 It's now confirmed that there will be a DIVERGENT premiere in London, UK on Sunday, March 30! [Formally listed as 31st.] The film opens in the UK on April 4. For now, listed as attending are Theo James, Shailene Woodley, and Kate Winslet, who will be arriving around 2PM GMT, with the screening set to start at 3PM GMT. [Note: Times have been changed a few times, we'll update if any further changes are made] The event will be held at the ODEON in Leicester Square. Exciting! Thanks to BeTheRedCarpet for confirmation. Will you be going? The world wide movie premiere will be held in LA on March 18. According to @eOneSpain there will be a premiere/red carpet event in Madrid, April 3 with Theo James, Shailene Woodley, and Neil Burger attending. Watch Theo James chat to Kelly and Michael in this interview aired earlier this morning. (It was pre-recorded last week when Shailene Woodley appeared on the show). Theo talks about appearing in Downton Abbey, studying Philosophy, why he wanted to play Four, training, and more! Heads up: Divergent cast Q&A tomorrow! The cast will even be signing some merchandise that anybody can purchase during the stream (proceeds are going towards the 'All It Takes’ organization started by Shailene). Dont miss it!!! Thanks Cogo for the heads up. All It Takes is a non-profit organization whose mission is empowering individuals to create positive and sustainable change both locally and globally. Shailene Woodley and Theo James pictured onstage at the 2014 mtvU Woodie Awards and Festival on March 13, 2014 in Austin, Texas. 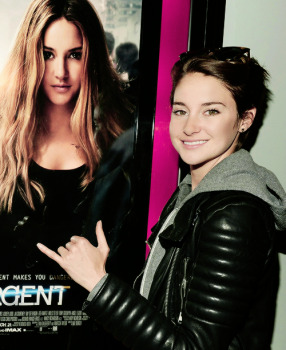 The two were there to screen an exclusive DIVERGENT clip! Shailene Woodley and Theo James pose for photos with two fans yesterday. Sweethearts. 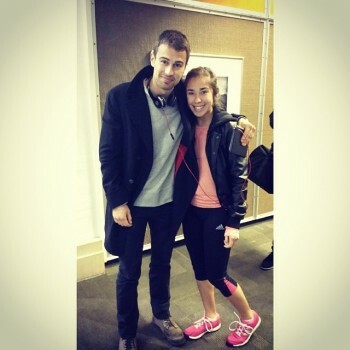 Ari: "Met Theo James from #Divergent last night in Austin. 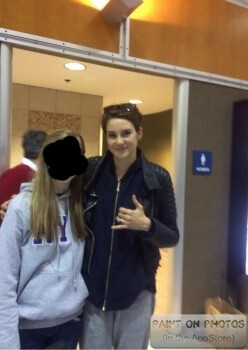 #nbd"
Carleigh: I MET SHAILENE WOODLY AT THE AIRPORT LAST NIGHT!!!" 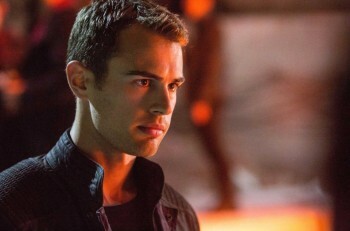 Watch: 3 New DIVERGENT Movie TV Spots "Resistance" "Who You Are" & "Test"
The DIVERGENT TV spots keep on coming! All of these spots feature new scenes, the second in particular. 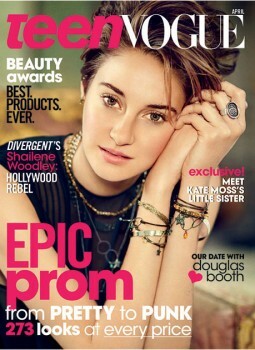 Both show Four and Tris together on the train, plus there are new shots of the fence, Jeanine, Eric, and Tris. Check them out! New: DIVERGENT TV Spot #11 "Family"
This new DIVERGENT TV spot focuses on Tris' family which is great because we get to see more of the awesome Ashley Judd and Tony Goldwyn. Just as exciting is that train jump at the very end, which looks almost exactly how we'd always pictured it in our heads. Here are two new interviews! First up, Miles Teller appeared on Letterman to chat about the Divergent movie and The Fantastic Four, and where he grew up. 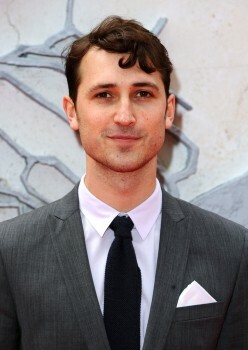 Secondly, Miles was joined by costar Jai Courtney for a slightly weird but funny interview on the Matthew Blades show. 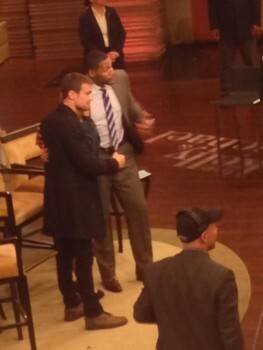 Here are some photos of Theo James filming his interview for Live with Kelly and michael. The feature will air next Monday. Tune in then! Shailene Woodley appreared on the show earlier today, watch HERE. Thanks to Lindsay for sending us the last 4 pictures! Shailene Woodley looks gorgeous as she joins Kelly and Michael on 'Live with Kelly & Michael' to chat about Divergent today. 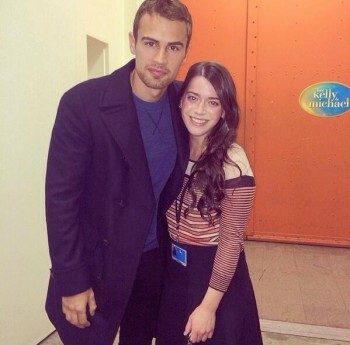 Co-star Theo James will also appear on the show next Monday. 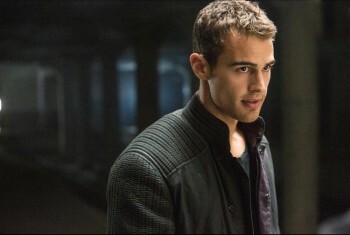 Check out these new clips from the Divergent movie! The first, featuring, Tris, Peter, and Tris' dad Andrew Prior is at the start of the interview. The second, featuring Tris and her mom Natalie on visiting day, is at 3.10. Gah! Blacktree TV chats to Tony Goldwyn and Ashley Judd about their roles as Tris and Caleb's parents. Shailene Woodley and Theo James appeared on Breakfast TV while in Toronto to talk about Divergent, Kate Winslet, stunts, and more. Thanks Jess for the heads up. Ellie Goulding premieres her music video for "Beating Heart" before joining MTV and the cast of "Divergent"- Shailene Woodley and Theo James- for an exclusive live interview.